It's a year-end gift from the Gods. 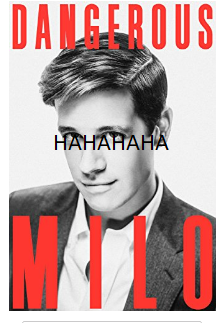 If you haven't read the editing notes for Milo Yiannopoulos's book Dangerous, do yourself a favor and run, don't walk, to read them now. Thanks to Yiannopoulos's ill-advised lawsuit against his former publishers, all of his editor's notes are now a matter of public record. He might have been better off re-thinking this idea*, because it makes him seem even dumber than he usually does. *Along with most of his other ideas.